Original product made by Angeliek, artist/designer from Rotterdam. that you can pin on – in stereo! Nice gift for cassette freaks. 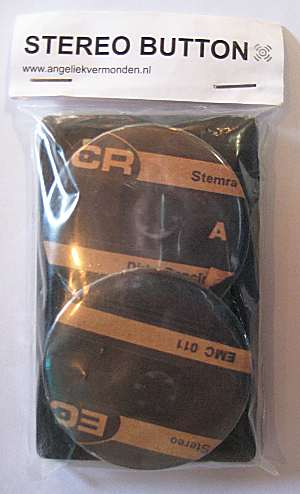 These are mini (dictaphone) tapes, so really stylish to wear with a little pin on the back. What’s on the tape? No one knows….